When your laptop is thin and light, it solves a ton of problems like getting rid of that shoulder / back ache, it easily fits into your backpack and generally is fun to lug around. Now imagine a laptop that even has the stellar looks to boot. Oh and it is a mere 10.4mm thin, or thick, if you like to look at it that way. 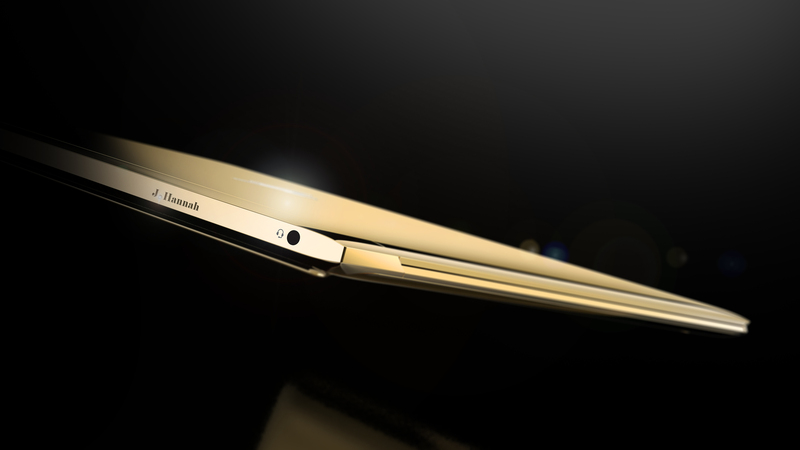 The new HP Spectre is a mere 3.3mm thicker than the current generation iPhone. It is that exact Windows 10 device that can go head to head with a MacBook and make it sweat. Think of it as a supercar meant for setting the track on fire. It is even built like one. The body is constructed out of aluminium and the base is all carbon fiber, which not only ensures the weight is a commute friendly 1.1kg but also makes the ultrabook super strong. Remember that gorgeous watch band style hinge you saw in Lenovo’s convertible laptop? The Spectre beats it and how. This one features a new piston-style hinge design, finished plush in copper, which is inspired by details on high-end furniture. To put it mildly, it looks absolutely, jaw-dropping, stunning. The 13.3in screen is not a retina spec busting one, but it still is gorgeous with its full HD spec. Having said that, we would have certainly loved a 2K screen on this machine. Sigh. The internals? They can easily bite through your daily routine of gaming, web pages, productivity apps, and other work. 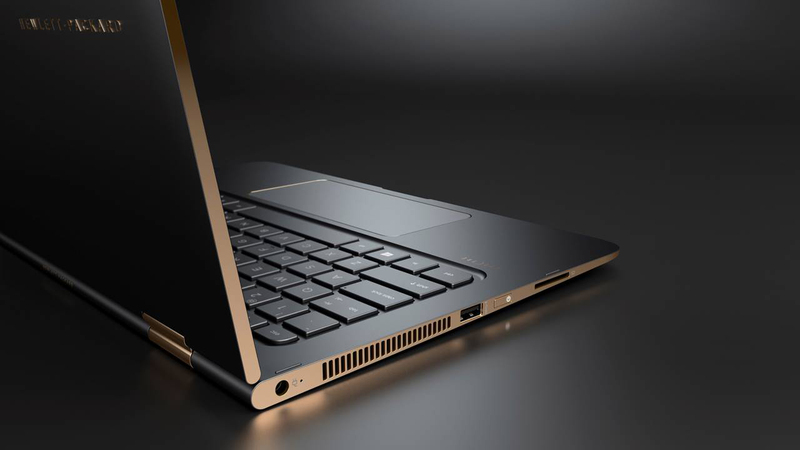 You can pick the Intel Core ii7 processor, with 8GB RAM and 512GB SSD storage. This one even teases right in the face of the MacBook with not one but three USB Type-C ports, out of which, two support Thunderbolt. The list of goodies do not end there. What you also get is a Bang & Olufsen powered audio kit that should take care of your movie, gaming and audio listening needs. While you are at it, the battery should last to up to 10 hours, which means you can travel with the Spectre effortlessly without a worry of running out of steam, throughout the day. 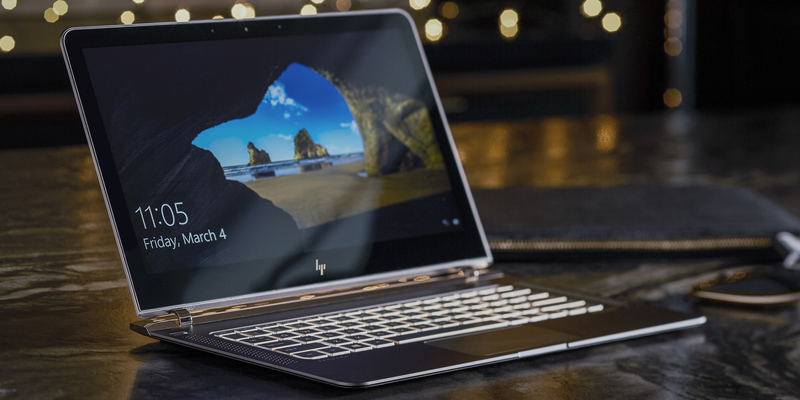 To sum it up, if you have always wanted that one laptop that matched a MacBook in terms of build quality, design and performance and sported the Windows 10 OS, the HP Spectre is one notebook you should probably consider.